I am a 2001 graduate of the Touch of Life School of Massage in Minnesota, with experience in medical, spa, and fitness facilities. 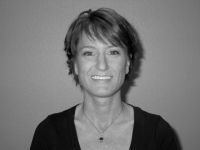 I have worked extensively with Chiropractors, Occupational Therapists, and Physical Therapists in both MN and AK. I have a passsion for assisting post-surgical patients with rehabilitation (especially shoulder injuries!) and in recent years, those healing from cancer. Whether it’s recovering from an injury, dealing with chronic pain, deep tissue, or gentle relaxation, I have the experience and knowledge to meet your needs and will have you feeling great in no time! Specializing in Swedish, Deep Tissue, Trigger Point Therapy, Myofascial Release, Oncology/Cancer, Prenatal, and On-site Chair Massage.